I’ve always found that an oxford shirt fills a very specific gap in my wardrobe. 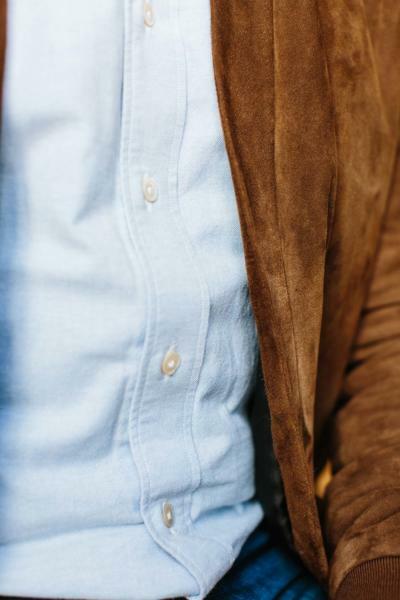 Smart enough for almost any sports jacket - from cashmere to corduroy - it is also the perfect partner for jeans. It might bridge formal and casual perhaps better than any other shirting. Chambrays are usually more refined - and while I love denim shirts, I wouldn’t wear them with jeans. The problem is, oxfords are hard to get bespoke. Most bunches offered to bespoke customers only have smooth, fine oxfords, aimed at a business customer to wear with a worsted suit or jacket. Although these have an oxford weave, the fibre and yarn are such that they have none of the nubby, robust texture of a traditional oxford. So I decided to work with Italian mill Canclini to make one. 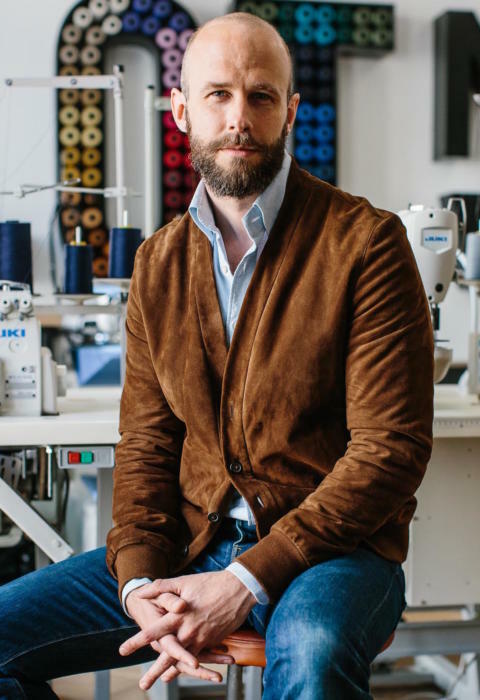 The things that set apart a traditional oxford fabric, such as those originally used by Brooks Brothers, are generally a heavier weight, a thicker yarn, and a subtle variation in the blue and white yarns that leads to a varied, natural appearance. 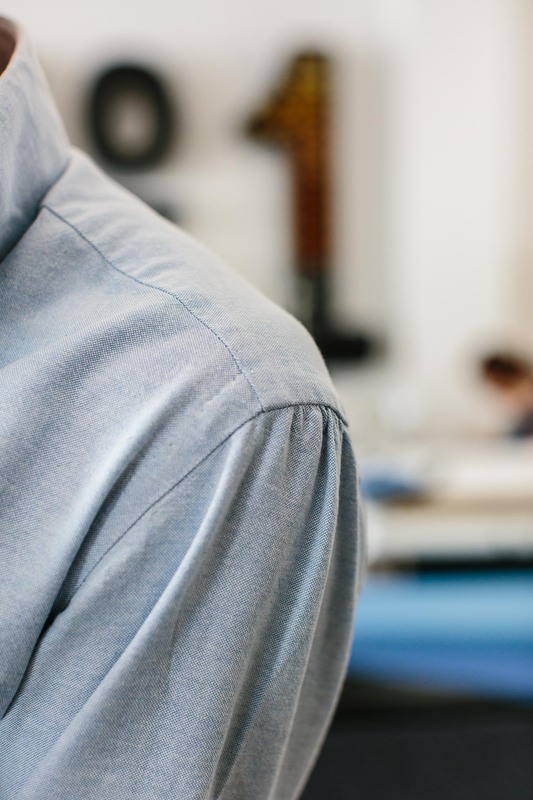 The weight of good cotton is what makes the shirt so comfortable, soften with age, and feel lived-in and personal. The thicker yarn makes it more casual - much more suited to denim and flannel than to worsted. And the varied texture gives it a similar appeal to slubby linen or tweeds. That last point is perhaps what is most obviously missing in modern, dressy oxfords (but you do get in indigo-dyed linens, for example). The nubby texture comes from using a short-staple cotton. The short fibres mean the yarn naturally varies in width along its length, and as it weaves in and out, this variation creates the characteristic texture. 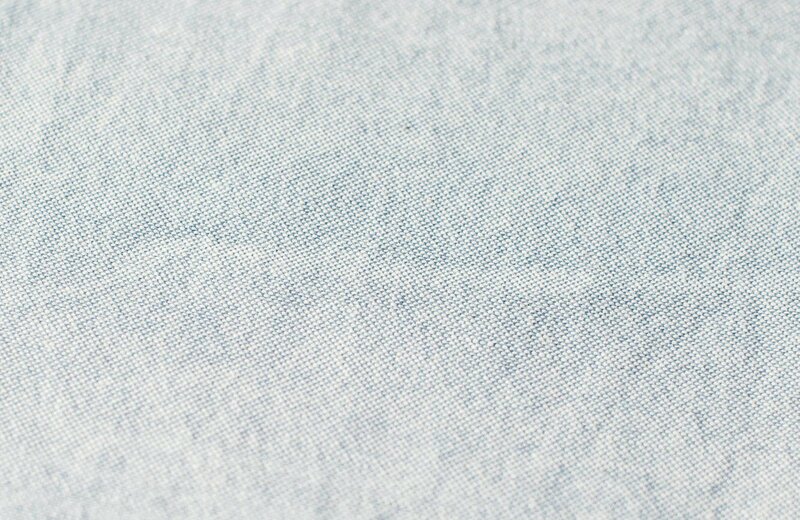 So where a dress shirt might use something like a two-ply 100-count yarn, the weft of our oxford fabric is single-ply 10-count. Still a lovely feeling cotton, but nowhere near as fine. In the warp we have done something slightly different. Here a traditional oxford would normally use another, thick single-ply yarn. But instead, we have used two fine yarns (both of them two-ply 90-count). Having two in the warp means it has a similar thickness to the weft, but their higher thread count gives the fabric a nicer feeling overall. 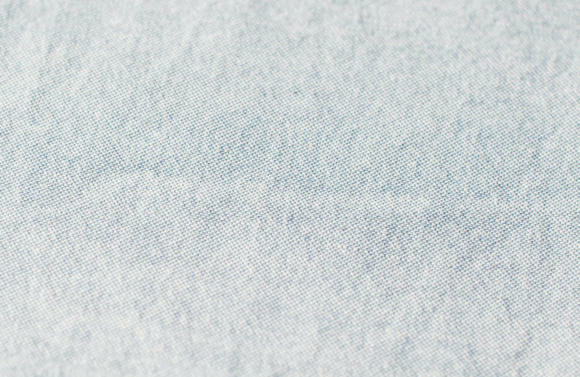 The final cloth still has that traditional texture, but avoids some of the downsides of short-staple cotton, such as pilling. Ready-to-wear shirts generally come much closer to traditional oxfords than those you can get for bespoke. But even then, they mostly use two-ply yarns in both warp and weft. One of the nicest I’ve seen, for example, is from Mercer & Sons in the US, which uses two-ply for both. The combination of single-ply in the weft and finer two-ply in the warp seems, from the examples I’ve seen with Canclini, to give the best combination of authentic texture and performance. The shirt I am wearing in these images has been worn and washed 12 times. During that time it has got softer and nicer, and at this point already feels like an old friend. Part of the attraction of a traditional oxford is of course how it ages, and I look forward to it only getting better over the years. The shirt has also perfectly filled that gap in my wardrobe - the perfect thing to wear with jeans and a sports jacket (or, as above, a suede cardigan). I already have a second in the works. I am really proud to offer this oxford fabric to readers - woven by Canclini and exclusive to Permanent Style. As I know there will be a lot of interest among readers in having it for bespoke, initially we are only offering cut lengths and not shirts. I wanted to give everyone as much chance as possible to get the fabric, and we will produce some shirts later in the year. 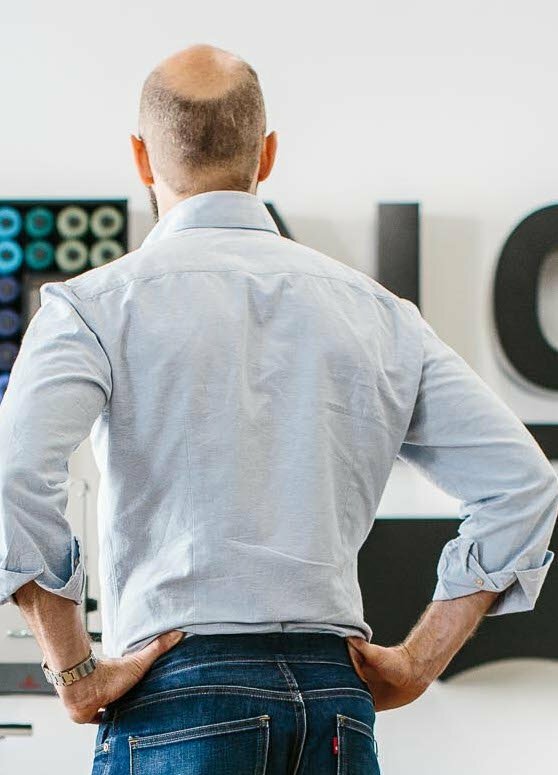 As with Everyday Denim, the fabric is pre-cut into 2m lengths, which should be enough for most guys (roughly, anyone 6’3’’ and under). It is being shipped from England (we’re trying to make the buying experience consistent) so if anyone wants to send it to Luca Avitabile or another shirtmaker, they will need to put them as the delivery address - and let them know it’s coming. It is only available in the classic sky blue, and costs £55 (plus VAT). Do feel free to buy more than one length, but we’ll put on a cap of five per person, to try and give everyone a chance. Available now on the shop site, here. As per usual, click on the images to enlarge. Photography: Jamie Ferguson @jkf_man. Taken from an upcoming piece on my bespoke Levi's, shot in their lovely new atelier. Thank you Lizzie and the whole Levi's team. You can follow the discussion on Introducing: PS Oxford fabric by entering your email address in the box below. You will then receive an email every time a new comment is added. These will also contain a link to a page where you can stop the alerts, and remove all of your related data from the site. Excellent. Any plans for white? Will add my vote for alternate colours in the future. I have a purple oxford so that I can have a bit more variety with my denim shirt covering off blue. Lovely to see you again the other day, we keep bumping in to each other! 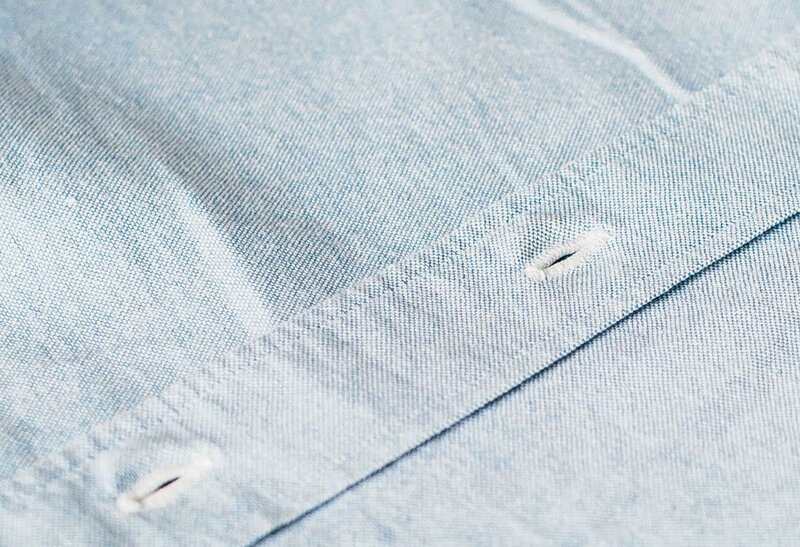 I’ve always avoided oxfords because of the roughness of the fabric against my skin, always preferring finer twill, denim and linen/cotton for my shirts. Wouldn’t chambray fill the wardrobe gap as well as an oxford? Simon – was the shirt in these photos made by Luca? Interesting that you say that after washing it has become softer. My oxfords are all hard as cardboard after being washed in London. Tumble drying appears to reverse the process a bit and to bring some softness back. Yeah, London has pretty hard water. But yes, I’ve still found it softens. Hello Simon! An OT question, I´ve recently started using my bike back and forth to work. As I often wear suits I find it hard to find a helmet that looks smart with a proper attire. Feels like the general store supply is either skateboard helmets or something you wear during Tour de France. Can you recommend any nice helmets when bicycling? I´ve looked at Carrera´s foldable, any thoughts on that one? The Swedes developed “Hövding”, an airbag for cyclists that can almost be worn like a scarf. POC MTB helmets, for example the Tectal in black, might fit the bill. 1. When you had Luca make this shirt for you, do you use his typical fused collar or do you have him make the shirt with an unlined collar like our OCBDs in the States? 2. Are you ever going to do another run of the PS Tweed? 2. I’d love to – just too many other projects getting in the way! There is no such thing as an OCBD with a fused collar. They are normally unlined, so nothing to fuse!! Please be reasonable!! You say you like Mercer. Read up and see how they are made. So do you now favor fused collars for formal and non-fused collars for informal shirts? Great addition to the PS brand. I have never seen a suede cardigan but it works really well, what drew you to that as it’s slightly unusual? It was unusual, and I didn’t think it would necessarily work, but it is good – though only with a shirt in my experience. Hermes have done them for a while, and I think Thom Sweeney are also doing some at the moment. Must be a trend. Hit the nail on the head with Bespoke oxfords. I have had a few and whilst I prefer the fit and collars the fabric is always far too fine and formal. Does work with jeans but not as nice dressed down as a RTW cloth. It’s frustrating sometimes that I prefer wearing some of my uniqlo oxfords rather than my bespoke because of the cloth. I remain disappointed, as ever, that you don’t offer your shirting fabric in lengths for people taller than 6’3″. Somewhat ironic given the intended use for a bespoke garment! I am 6’4″ and the Everyday Denim length was fine for me. It might be worth checking with your shirtmaker before giving up on this. I’ve ordered a length to be made up by Luca. Have never liked Oxford cloths for either casual or business and never been quite sure why. You might be right Simon that they are often neither fish nor fowl. Will be interested to see how this works out. 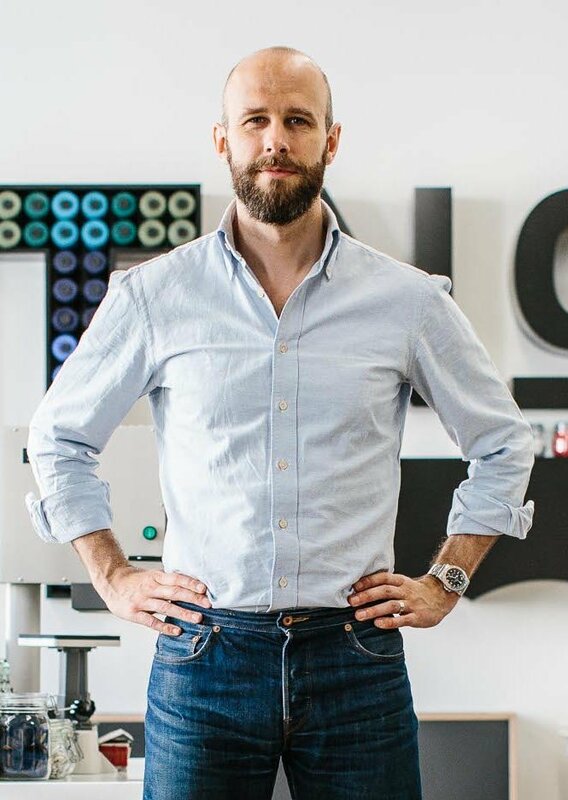 Simon, the shirt (only) tucked into jeans is a nice look on you – helped by the fine quality and fit of both. Congratulations on another great and unique PS product. The single/two ply mix is a point of difference and addresses some of the issues related to the more trad. weave as you rightly point out. Agree that more colours would be good but, for the creative, robust cotton can be bleached and dyed according to want. Kudos also to Luca on such a fine cut of shirt – the collar shape is perfect. Out of interest Simon do you use your pattern for all shirts he cuts or do you vary the cut across cloth type and formality? To Bamboccio – the hardness is due to the high limescale content in UK water (particulatly in the south) -a fabric softener or 2n1 might help alleviate the problem. I´ve made the experience that rougher fabrics actually age with less dignity than finer fabrics, resulting in frayed cuffs which look rather shabby. Or maybe it just shows more? This cloth looks very interesting indeed, well done! PS. Let’s not forget many of the OCBD purists wear frayed cuffs and collars with pride. As this is a heavier weight shirting, how does it perform in breathability compared to a dress shirt with finer yarns, but lower gsm ? It doesn’t get very cold where I live. Just a question regarding the gauntlet button. Do you prefer to keep them as with this short or forgo them altogether? This is great! Have you used the same vintage-inspired MOP buttons on this shirt as feature on the everyday denim shirt? Do you like the fabric of the Drake’s button-down oxfords? I’ve always thought they were the nicest RTW versions, and very good value at 3 for £295. Incidentally, this seems like a great product – but I’d warn off going for a plain white if you were to produce other colours. Its difficult to wear as an OCBD, because the formality of the colour is greater than the of the material or cut. I think what Drake’s are calling a “blue ticking stripe” would be much more versatile – and after that I would still perhaps put a pink above a white for versatility, although the pink would be very preppy indeed. Interesting, thanks. Yes, we were looking at a cream or white, but maybe a stripe would be better. I agree about White not being the preferred colour. I’ll add that Inthibk some of the beauty of an Oxford short is in the contrasting colour of the warp and weft yarns. If both are white, that is lost. Any plans to do a second run of this or another run of the denim? Another of the denim coming in a few weeks. I bought one of the Everyday PS/LA denim shirts and I love it. The only issue I have with the cut, and it is a very minor one: but the sleeves and cuffs are narrow (by about 0.5 – 1 cm) (especially in proportion to the chest and shoulders). Everything else is perfect, collar size, sleeve length, chest, shoulders etc. This isn’t about the size of my arms or wrist, but rather the tolerances that I am used to in RTW having worn many shirts of that size. Nice shirt in the first picture Simon. It looks very fitted though which brings to the question how much allowance do you usually have in your shirts for chest and waist? Indeed, and I was going to comment/ask exactly the opposite. For me it looks like a quite relaxed fit, specially in the image showing your back. Would you normally go for a more fitted approach on non-casual shirts? Any blog-post or recommendation about how a shirt should fit? The shot of the back is a little misleading too. These weren’t meant to illustrate fit! The cloth may be nice enough, but I’m afraid that you’re missing the point, as I think you often do. 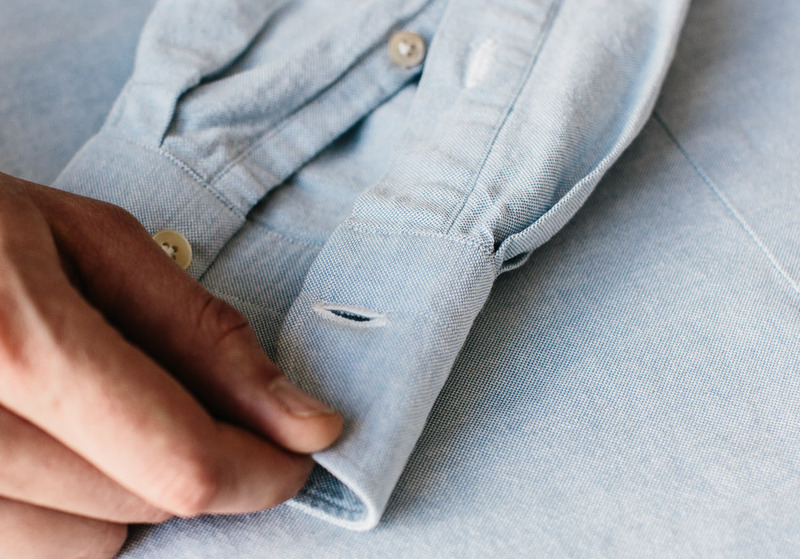 Button down Oxford should be slouchy and a bit roomier than most shirts. Look at photos of McQueen and others and see it in its proper context. Having a fusible collar is just plain wrong. I may be missing the point here, but why take something qualitative (the cloth) and turn it into something so odd? Thanks for your thoughts Adam, but it’s not simple. Just because McQueen wore his shirts slouchy doesn’t mean anyone else has to. A more substantial comment (for example noting that they should be practical shirts, and not restrict comfort in any way, given that practicality) would be more helpful. And on that point, I would say mine are not restrictive. Please avoid comments like things are ‘plain wrong’. They’re just not helpful. Try and make more substantive points or I will delete the comment. It has to be something readers will find interesting and helpful, and I’m afraid that comment fails that test. Sorry if we are going to disagree. Oxford button downs have always been relaxed and informal. So to get them made to roughly the same pattern as a formal shirt makes little sense. The collar is traditionally not fused. It is traditionally not even lined at all. 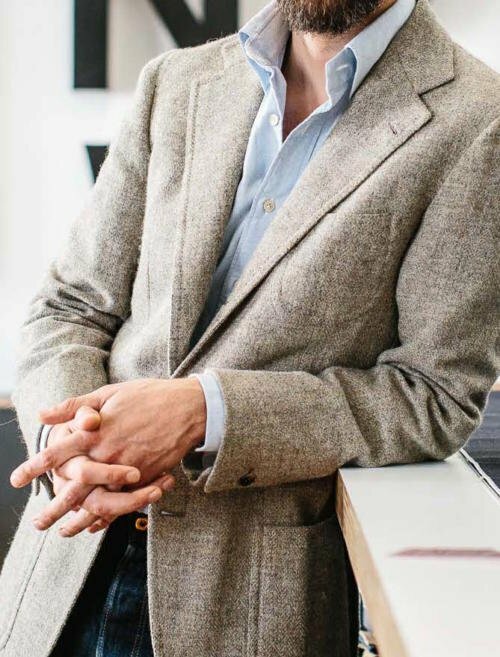 I’m sure you have developed a very nice cloth, and I’m sure it will wear well and soften beautifully over time, and I’m sorry if you don’t like my comments, but you are making a bit of a hybrid in my view and moving the whole simple, classic ethos of the oxford buttondown to something new and not at all in keeping with the history of the garment. There is a universe of historians on dress out here, so if you come up with something a bit mistaken, please do us the courtesy of gracefully accepting our challenges if we make them. No problem at all, it’s great to have different views. Just more useful if the thoughts behind them are clearer, rather than being plain statements. I know that historically OCBDs have been traditionally made with no lining, and with a more relaxed shape. I personally just don’t think history is enough reason on its own. And if relaxed and casual is the aim, this feels both to me. It is also regional and cultural. Few people in the UK would expect an oxford shirt to be made in that way. Thanks again, and if you have any more thoughts on why an OCBD is nicer that way, please do add them. I think Adam makes an interesting point actually. If a casual shirt is a particular type, why not observe that it might differ from a perceived view? I think to say it fails an interest test is a bit defensive. You should publish more comments like this. Surely you should welcome opinions from others, even if they don’t accord with your views? Thanks. I agree it’s an interesting point, and I welcome the views of others. I would generally encourage them to include more reasoning or other thoughts, that’s all. Timeline for finished shirts, Simon? Cool. I’m buying one for sure. Save me one 🙂 The every day denim shirt has been a good one for me. Just received my two lengths in the mail, and they are lovely. Exactly the soft, subtle shade of blue I was hoping for, and with a wonderful hand. Thanks! Of all the recent collaborations this is the most helpful (for me) and if you should plan for another colour I would sugest grey. A have a very old Ralph Lauren ocbd in grey and never found a similar cloth. Simon would you say this is lighter than a normal Oxford blue? I ask as I’m concerned it might wash me out. Just received my first shirt with shirred/neopolitan shoulder as you have on yours here. While I like the added comfort and motion, I’m still not sure how I feel about the puffiness that occurs as a result. How do you feel about it? Looks will always be subjective, but in terms of practicality – Does it get in the way under knitwear for instance? haven’t had the time to try it myself. I haven’t ever noticed it get in the way with knitwear – I think it would only potentially happen on the very finest of gauges. It’s certainly subjective, but I like it personally. I think it adds a little width to the shoulder, and a small style point. But I can understand why others don’t like it. 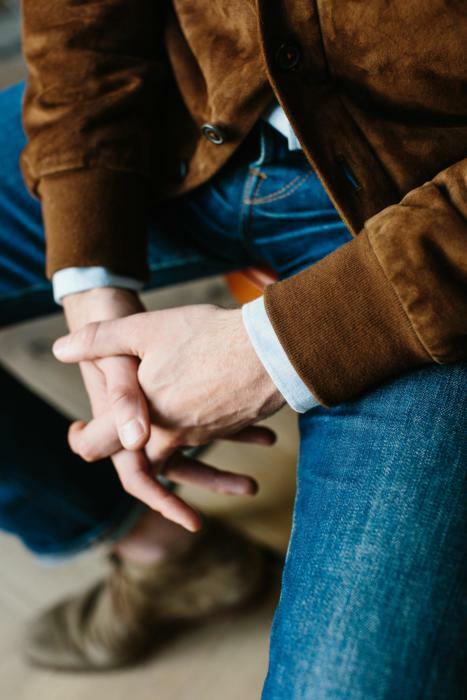 By the way, it probably shouldn’t make a difference with comfort and motion, as that excess shirt fabric will always be somewhere around the armhole if it’s small – it’s just that the Neapolitans deliberately put more of it at the top of the sleeve. Simon – On this, if one were to engage, e.g. Luca to create a shirt, do you think he would be insulted if the client specifically requested that the shoulder not be in the Neapolitan style? No, you could certainly ask for a clean shoulder there and it should be fine. Is it possible to get this cloth at the popup shop ? I received my PS Oxford button down yesterday from Simone Abbarchi. Cloth and shirt are exactly as I’d hoped. I’m almost wishing for cooler weather so I can wear and enjoy! Is there a reason why then price of the fabric piece is higher at the pop-up shop than online? I am curious about your second oxford shirt. Is that still button down collar? Do you wear oxford shirt with tie? Yes, still a button down. Why do you want to bespoke the same design shirt in the same fabric? Is there any difference between them? Received my shirt made bespoke by Luca Avitabile now. Amazing cloth, even better than the denim. Quite expensive, but so good. What will be next? i am suffering a little with the idea of making my PS-Oxford-Fabric not as a classical OCBD but instead with a normal collar and no placket. I am not a real fan of button down colars and plackets but i find the fabric lovely, i have bought 3 lengths. What are your thoughts on that? Would it be nice with this fabric or rather odd? Has anyone else reading this post, done his another way then a classic OCBD? Christos, I would suggest making up one with a normal collar and a placket. But make sure the collar is only a moderate spread, not an extreme cutaway. You can then always vary it on one of the other shirts, eg by removing the placket. it does not seem that this fabric has a face? I really like the slightly yellow buttons you used for the Everyday denim shirts. Would you use them for this cloth too or is it too light in colour? A technical question: is the cloth weight 250g per square or linear metres? You’ve mentioned elsewhere that UK cloth merchants use the former, while Italian cloth merchants use the later. Good question. I’d assume the latter, but I’ll check. Having said that, in shirts it’s not a big difference. I’d be interested I know why it doesn’t matter either way. Is it because (on a 1.5m width cloth) 160g vs 240g is a minor difference in weight?